If you’ve decided to move home, whether to escape problem neighbours or not, you’ll have to own up to any issues you’ve had with the neighbours when you’re selling your home. The guidelines are slightly grey as to what you need to declare to a prospective buyer, but there have been cases where new owners have sued previous owners for not telling them about particularly awful neighbours, so it pays to be aware of the law. If you’ve been unlucky enough to become involved in an actual dispute with Problem Neighbours, this will have to be mentioned on the form that your solicitor sends you – called a Seller’s Property Information Form (or SPIF). What constitutes a dispute is open to interpretation but in general, if you’ve had to contact a neighbour in writing, or complain to the council or another authority about them, then the dispute will have to be declared. Obvious examples of things that need to be declared on the SPIF are Boundary Disputes (disputes involving land or fences/hedges) or anything that involves Shared House Maintenance. Buyers could potentially take action against you for years after the sale of the property has been agreed, so don’t just assume that once you’ve moved out, the problem has gone away if you haven’t told them. In some situations, it’s not necessary to mention an issue that’s come up with a neighbour. For example, if a neighbour had a penchant for having noisy parties but this is now in the past, or a problem has been dealt with amicably. Issues like children, noise and pets are also extremely subjective, so the Noise Of A Dog Barking may drive you insane but if the person buying the property also has dogs, it may be something they don’t even notice. If you’re asked by a solicitor to give details of any disputes or problem neighbours, this is where the situation becomes more difficult, as any false information or ‘omitted information’ could lead to legal action being taken by buyers. So seek advice from your solicitor if you think that a neighbour’s behaviour could be considered problematic, and ask if they think it’s something you need to declare. 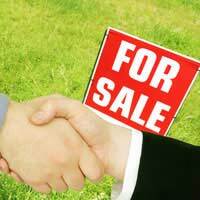 The SPIF is legally part of the contract between you and your buyer. Because you are required by law to complete the SPIF, and because the buyer of your property is entitled to rely on the information being accurate when they buy a home, they may be able to claim against you if the sale has been completed and a problem neighbour dispute comes to life. If the contracts haven’t been exchanged when the dispute comes to light, they could pull out of the sale. In one case in 2009, when Home Information Packs were still in force, one buyer was told by a seller that her potential new next door neighbour was 'as quiet as a mouse', and the HIPS declared that there had been no disputes with any of the neighbours. Unfortunately, this neighbour made her life 'a living hell' with loud swearing and banging on the walls during the night. The buyer sued the seller and accused her of telling lies on the HIPS form, but lost, despite the seller admitting the neighbour in question had threatened to kill her and thrown stones at her windows in the past. If you think there's a chance you can resolve a dispute (especially when your neighbour knows you're planning to move! )...then read about how ways you can go about mediation. I have just noticed that my new neighbours have built a lean to along their side pathway. It is attached on one side to their wall and on the other to the fence.The fence is along the boundary their side ownership. The roofing they have used hangs slightly over the edge of the fence which means that when it rains water will run straight into our garden and the space at the side of our house.They have not put any guttering on the material used for the lean to. I would like to know if we have any rights regarding this. It hasn't rained yet so I don't know what might happen. Bought our house to find out neighbouring property is a student hmo. Have had the odd noise incident from them. This is our 3rd different group as its new intakes each year. Do we have to declare this when selling? Bought a house after the purchase was told by various neighbours that my next door neighbour had bought some land by my garage to a previous owner of the property I bought.I am told seller was aware of this, the neighbour confirms she had a copy of the letter, no one can show me the letter but never mentioned it on the forms when she sold it.The neighbour has admitted buying this part of land but nothing has been registered with the land Registry.I don’t know who she sold it to.How do I get this sorted fir future when I need to sell and have to make the buyers aware. Hi, I've just purchased a ground floor flat and was assured that there was no noise whatsoever from the neighbour upstairs as there were concrete floors! My first night in, he was loudly banging doors at all times of the day/night, he is very heavy footed and there is therefore constant loud noises from above when he moves around.He also has a very bad cough which I can hear at all times of the day / night and he wakes me up constantly during the night.Finally, I can hear his phone ring like it is in my flat. I was not informed of any of this by the seller, despite specifically asking if there were any noise issues from the flat above.Is there any come back on the sellers regarding this? ?I would not have bought the flat had I known of these noise issues and I am very upset/angry. Hi, our neighbours are selling their property. it is currently empty but we have noticed that we have water coming in from their garden into our garage. we have exhausted all avenues trying to get access to repair or exchanging numbers to arrange access with no luck. We have been advised to seek legal advice. If we open a legal dispute against our neighbours will it stop them being able to sell the property? The landlord Royal Borough of Kensington and Chelsea (RBKC) has a burnt out flat in my block which looks a mess. It has been left for months and I am trying to sell my flat. All comments from potential buyers are that the burnt flat is an eyesore therefore will not be pursuing with an offer on my flat. I have contacted my landlord RBKC and they have not responded. Do I have a legal standing as their burnt out flat which looks totally unacceptable is affecting the sale of my flat. My retired parents sold their home and moved recently. They have just received a letter from their buyer asking for £10,000 to pay for a new car port. The seller clams that they asked my parents about parking outside the front of the house and apparently my parents said it was not a problem. That was actually the case as the house has a driveway and my parents parked on it, so were not reliant on parking on the road. However, the seller's car does not fit on the driveway and they prefer to park on the road. Therefore, they are now in dispute with a neighbour who often parks outside the house, hence the £10K claim. My parents wrote "driveway" under Q9 of the TA6 and did not mention disputes because they had not had any themselves. As you can imagine my ageing parents are worried about losing their savings, so any advice? How do I stand legally selling a leasehold flat when a problem neighbour is due to the tenant of a buy to let landlord. The landlord is aware of the situation but is choosing not to evict his tenant. We bought a flat in Aylesbury off plan. Connells Estate agent we’re selling them. We lived in Aberdeen and wanted to come back down south, we lived in High WycombeFor 30 years. We did come to see the flat while it was being built, and thought it was the back of shops or offices outside our window. The day we moved in a guy came to introduce himself, and asked if we were told about the smoking area of his night club outside our window. The noise goes on till 3am in the morning. My husband went round to the estate agent and she ignored him also the Solicitor we used was part of Connells they also ignored us. We have been everywhere to get help, no nobody seems to be able to help us, even the property omnibus went withe lying estate agents. We have now got the flat on the market, and will lose £100,000.This is all our life savings. I thought Estate agents had to tell you about the night clubs and the noise. Our life has been ruined. We bought this as a retirement flatWe are both in our seventies. Unfortunately we don't really know enough about the circumstances under which you bought your home - and there is always an element of caveat emptor (buyer beware) in this kind of situation. You can talk to environmental health about the noise and the smoking...they'll be able to tell you about the licensing arrangements for the club and any restrictions on noise etc. We bought a flat in Aylesbury off plan. Connells Estate agent we’re selling them. We lived in Aberdeen and wanted to come back down south, we lived in High Wycombe For 30 years. We did come to see the flat while it was being built, and thought it was the back of shops or offices outside our window. The day we moved in a guy came to introduce himself, and asked if we were told about the smoking area of his night club outside our window. The noise goes on till 3am in the morning. My husband went round to the estate agent and she ignored him also the Solicitor we used was part of Connells they also ignored us. We have been everywhere to get help, no nobody seems to be able to help us, even the property omnibus went withe lying estate agents. We have now got the flat on the market, and will lose £100,000. This is all our life savings. I thought Estate agents had to tell you about the night clubs and the noise. Our life has been ruined. We bought this as a retirement flat We are both in our seventies. Bit of advice please, we had a buyer who pulled out because of a comment she had seen on Facebook between us and our immediate neighbour having a bit of banter about someone who lives down the road with comments about him working on his car and various other jokes on his behalf. She is declaring this as a neighbour dispute and stating that we have lied on our PSIF by stating there is not a dispute. Her solicitor has now been touch stating that they want payment of our ex purchasers legal fees otherwise they’ll be taking us to small claims court. I’m wondering if they actually have a case, we’ve been told by our conveyancer and estate agent that they don’t believe they do. We’re selling our house and are just waiting for bank confirmations , We’ve just heard about a potential development nearby through hearsay , we’ve had no letters or anything official to say it’s going to happen. Are we obliged to tell our estate agent ? You're not obliged to tell the estate agent (an estate agent should be well aware of everything going on in the vicinity) but if a buyer becomes interested you will need to answer any questions on the seller's information questionnaire sent by the solicitor, truthfully.See article here for more information. We have an overflowing gutter on the front of our house during heavy rain as there is only one down pipe on the front of our property which has to take the rain of our roof and our neighbours.He doesn’t have any downpipes on the front of his property.We are semi-detached. We have been asking him for at least three years to put a down pipe on his side, he always says he will but does not do anything. In our deeds it’s says both properties are responsible for maintenance of guttering and pipes.What should we do without falling out with them? Hello we've accepted an offer on our house do we need to tell new buyers that our neighbours complained about us to the council? They complained about my daughter stamping up and downstairs. (yes really) we spoke to the council and they reassured us this was everyday living and to carry on as normal. It did however cause tension/ angry words with said neighbours and now we just don't talk. Any advice appreciated. We are putting our house up for sale. In 2014/15 we had an issue with our neighbour that led to me contacting the council about the excessive shouting and swearing by our neighbour. The council did not write to him as they took no action. Does this need to be declared?We did have Police involvement that led to mediation in 2015. Since then there have been no issues. Does this have to be declared?Many thanks. Yes, probably. It really depends on the wording of the sellers questionnaire but it's likely the police and the council will have a record of the incidents. We are putting our house up for sale.In 2014/15 we had an issue with our neighbour that led to me contacting the council about the excessive shouting and swearing by our neighbour.The council did not write to him as they took no action.Does this need to be declared? We did have Police involvement that led to mediation in 2015.Since then there have been no issues.Does this have to be declared? Many thanks. Hello, who do I have to say about the theft of electricity? My neighbor is bragging that he does not pay anything and that he has some wires in the electric panel. Report this to your electricty provider. Hi. I am currently in a dispute with my downstairs neighbour. We both own our flats. We had a plumbing issue which resulted in water leaking into her flat, this has since been resolved and it transpired to be the plumbers fault. Unfortunately, my neighbour became incredibly abusive and threatening towards myself, my husband and our 1 year old. This resulted in my reporting her to the police due to the aggression and abuse, along with the threats. We have also had the management company involved to mediate, but this has been semi informal via phone calls with the lease manager and no formal mediation process has happened. We are looking to move anyway due to our baby needing more room, but this has spurred us on to look to move asap. Our neighbour has also said in the past she is looking to move, but to rent her flat out. Would we need to declare this when we move? If it is resolved amicably would we declare? If she moves before we do would we need to? If you have had cause to report this to an authority such as the council or the police, then it's very likely that you will have to declare it on any sellers information questionnaire. There is often additional space to explain more about the situation and whether it has been resolved. Hi. I am currently in a dispute with my downstairsneighbour. We both own our flats. We had a plumbing issue which resulted in water leaking into her flat, this has since been resolved and it transpired to be the plumbers fault.Unfortunately, my neighbour became incredibly abusive and threatening towards myself, my husband and our 1 year old. This resulted in my reporting her to the police due to the aggression and abuse, along with the threats. We have also had the management company involved to mediate, but this has been semi informal via phone calls with the lease manager and no formal mediation process has happened. We are looking to move anyway due to our baby needing more room, but this has spurred us on to look to move asap. Our neighbour has also said in the past she is looking to move, but to rent her flat out. Would we need to declare this when we move? If it is resolved amicably would we declare? If she moves before we do would we need to? Hi there,My partner and I are selling our flat - we've found a buyer but are now looking at addressing the issue of whether to declare an issue we had with a noisy neighbour upstairs. A few months ago the person upstairs started playing music at unsociable hours, very loud. We complained to the management agency (but not the council, and we have never taken legal action) about the noise. We have since resolved the issue with the person upstairs and she has texted us explaining that she won't play music loud after 11, and won't breach the terms of lease again. The questionnaire asks 'have there been any disputes or complaints regarding this property or a property nearby'. Should we declare this as a previous complaint? Yes you probably should declare this. Put yes and add an explanation as you have done here. Hi there, My partner and I are selling our flat - we've found a buyer but are now looking at addressing the issue of whether to declare an issue we had with a noisy neighbour upstairs. A few months ago the person upstairs started playing music at unsociable hours, very loud. We complained to the management agency (but not the council, and we have never taken legal action) about the noise. We have since resolved the issue with the person upstairs and she has texted us explaining that she won't play music loud after 11, and won't breach the terms of lease again. The questionnaire asks 'have there been any disputes or complaints regarding this property or a property nearby'. Should we declare this as a previous complaint? If there is no report of this, you may not have to mention it. It does however, depend on the wording in the seller's questionnaire...and you may be able to explain that the issue was resolved if so.